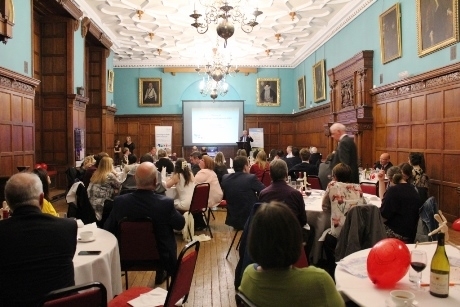 Leading learning outside the classroom (LOtC) practitioners were honoured at a special awards dinner, following the Council for Learning Outside the Classroom (CLOtC) Conference held at Ingestre Hall Residential Arts Centre in Staffordshire on 16th November. The ‘Awards for Outstanding Contribution to LOtC’ honour individuals and teams of people who have made a significant impact on the lives of children and young people through their commitment and dedication to providing and/or championing exciting and inspiring learning outside the classroom opportunities. Whether it is through fieldwork, school ground activities such as forest schools, educational visits to museums, galleries, farm activity centres, or cultural expeditions abroad, LOtC can build lasting, positive learning experiences. • Belinda Dixon, British Exploring Society, Advocate Award 2017, sponsored by School Travel Organiser magazine. • Jenny Hindson, Trees for Cities, Innovator Award 2017, sponsored by YHA. • Worcester Cathedral Educational Volunteer Team, Inspiring Educator Award 2017, sponsored by NST Education Travel. • Phil Simpson, Abernethy Trust, Lifetime Achievement Award 2017, sponsored by Canal and River Explorers. The annual Council for Learning Outside the Classroom Conference and Awards 2018 will be held on 22nd November 2018 at the Black Country Living Museum in Dudley. The Council for Learning Outside the Classroom was launched in April 2009 and is the leading voice on learning outside the classroom issues. The Council champions learning outside the classroom and encourages young people to get out and about because research shows that children learn best through real world experiences. How to become an official award partner, support the School Travel Awards and get amazing exposure to people organising school trips and educational travel.